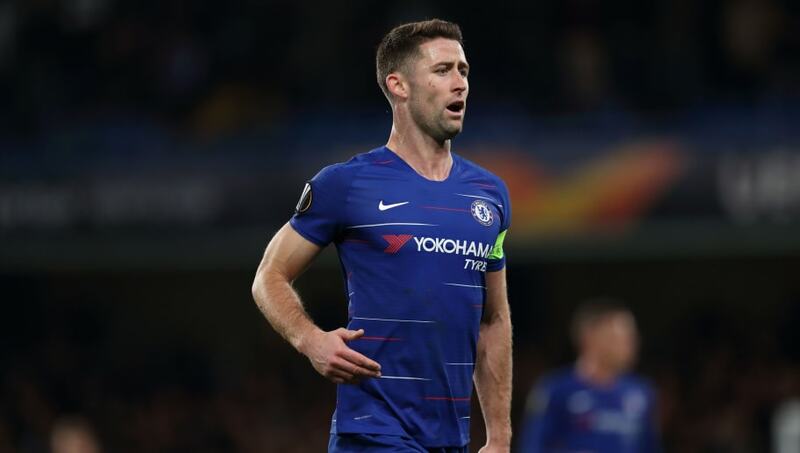 Former Arsenal defender Rhys Weston has declared that the Gunners should be making the signing of Gary Cahill their number one priority in the transfer window. The Chelsea centre back has only made one Premier League appearance this season and is not thought to be part of manager Maurizio Sarri's plans for the future at Stamford Bridge. ​Arsenal boss Unai Emery has been struggling with a growing defensive injury crisis at the club in recent weeks with Rob Holding, Konstantinos Mavropanos, Hector Bellerin and Nacho Monreal all currently sidelined. And with the Gunners fighting for a top-four finish this season, Emery may look towards bringing in a short-term option on loan to add much needed reinforcements to his squad as the season progresses. Speaking to Love Sport Radio (via The Ex​press), ex-Wales international Weston outlined why he believes that signing Cahill would be the ideal option to help improve Arsenal's defence. "If they're going to bring someone in now, who is there? he began. "The only person that really stands out is someone like Gary Cahill at Chelsea that you could potentially go and get, slot straight in and not need any time to bed in. There seems to be this trend with Arsenal bringing in young, continental centre-backs who need time to acclimatise." Weston went on to claim that it's of paramount importance that the Gunners identify their targets wisely - with the club's overall morale in mind. "They need to bolster their defence in January if they can but you have to take into consideration how it's going to affect the dressing room. If Emery is building something and he wants a group, a collective that is going to pull together. "Maybe adding someone in that isn't quite the right fit could have a detrimental effect." ​Cahill's vast Premier League experience has seen him linked with a number of clubs so far in January with​ Fulham expected to challenge Arsenal for his signature in the coming days. The former Bolton Wanderers defender has made over 300 appearances in England's top division and has won six major honours during his career - but it's expected that his departure from Chelsea is imminent.